"I am married and we are the proud parents of five boys and one girl (including twins!). With eight members in our family, we know how valuable every dollar is, and we strive to make our programs very affordable. I began my grappling training in 1994 with Judo and I received my black belt in 1999. In 2000, I started training BJJ and received my black belt in 2007. Now, I’m a 3rd degree black belt in BJJ under 6th degree black belt Murilo Bustamante. I enjoy sharing my knowledge, enjoy watching others learn, and achieve their goals and dreams!" Don Mouser has been training in Brazilian Jiu-Jitsu since 1998. He is a technical practitioner that is over 200 lbs., but he moves like he is a middle weight. His knowledge of the game and flowing style has rubbed off on many students. "I started in MMA when a friend invited me to train Jiu-Jitsu. I was 16 years old and didn’t even know what Jiu-Jitsu was at the time. I started training as a hobby, and later, after working on it as my hobby, it became my addiction and lifestyle! Now I would not know what to do if I couldn’t teach and train the art that I love so much. It has become my life." Liz is married to Darren McCall. She trains, teaches, and juggles the duties of being a wife and mother! 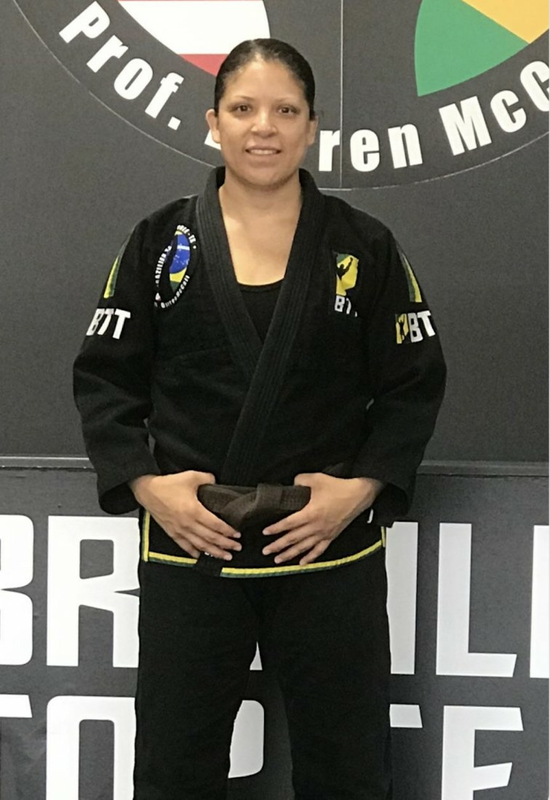 She has been training since September 2010 and has won and placed at many local tournaments, NAGA Tournaments, and IBJJF Tournaments!